2016, at least in Spotter Guide form is nearing a close, just one more Spotter Guide to be produced for the Lamborghini Super Trofeo Finals in Valencia at the beginning of December. As we are in between the Canadian and American Thanksgiving celebrations, it was only right for me to thank YOU for downloading the guides this year, thanks for ReTweeting, Sharing and Linking the many social media posts or maybe you publisized the Guides in a Blog. Thanks to each and every one of you. Thank you to the many partners this year. Without there support, there would be no guides. The realities are, along with ‘Andy Blackmore Design’ this is my career, its what pays the mortgage, pays the bills, what enables me send my little girl to school. I’m very lucky in that I have a career I love, but I also need to pay the bills so I’m truly thankful. 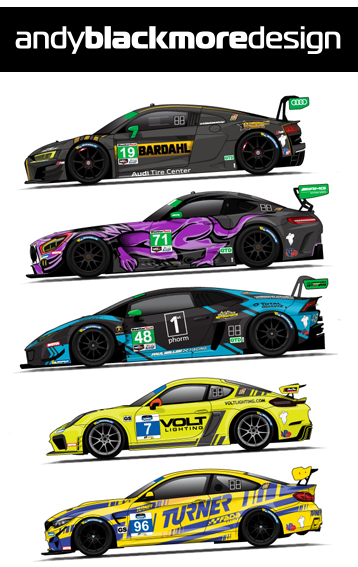 So, huge thanks to IMSA, who commission me to produce the online and supply art to their printed Official Spotter/ Fan Guides as well as supply car art for their website, app and merchandise. In 2016, the partnership extended to supplying the official Spotter Guide for the Mazda Prototype Lites, Porsche GT3 Cup USA and the Porsche GT3 Cup Canada series. Thank you to Dunlop Motorsport Europe, who in a crowded space, partnered with me on the 2016 Dunlop Le Mans 24Hour Spotter Guide. This partnership included a large print run for fans and VIPs of Dunlop and Travel Destinations. The majority of team timing stands and commentary boxes had the guides taped up. As an example, I counted 10 sightings of the guide in the recent Sir Chris Hoy documentary on BBC. Thank you to new partners Lamborghini Squadra Corsa and their marketing agency, Centigrade. We have produced guides for North American and European rounds of the Lamborghini Blancpain Super Trofeo Championship. Thanks to everyone at CJ Wilson Racing. In addition to working with them on team identity and livery, we partnered to create a Spotter Guide for the CJ Wilson Racing Cayman Cup which ran in conjunction with TORA. and tanks to Nexen Tires USA who partnered to produce a car-toon style Hero Card/Spotter Guide for their return to Formula Drift. Without the support of these sponsors, and the media partners (DailySportscar, RadioLeMans.com, Sportscar365 and hosts, Ten-Tenths) there would be no guide. 2017 is looking very promising with IMSA confirmed for an Eleventh Year (!) and positive discussions with other partners. We still have room for 1-2 more guides and currently in discussion with two race series. 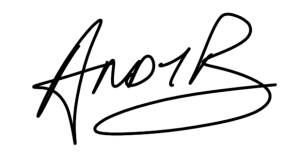 Next release will be the the Lamborghini Blancpain Super Trofeo Finals Guide in December followed by the 2017 Official IMSA Spotter Guide for the Rolex24 at Daytona.